Mystery of the University of Alabama White Bear Solved! For nearly a year now we’ve marveled at the University of Alabama White Bear… and not just us. Judging by emails we’ve received, the discovery has baffled even Bama fans who seem dismayed that Big Al had a forebear, as it were, of which none of them were aware. 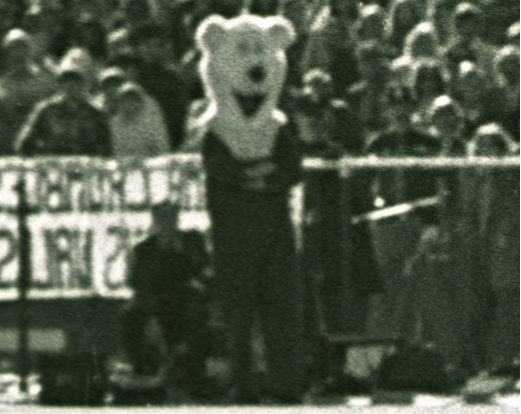 The Sideline Sasquatch’s appearance at at least two Iron Bowls in the early 70s certainly seems to suggest that the “Bear” in Bear Bryant held more sway in the Crimson imagination than the Tide’s traditional power-animal identification, the noble elephant. And now, finally, after stumbling across plans for a pre-Aubie Auburn mascot in a 1972 issue of the Auburn Plainsman, we have a clue as to the creature’s origins … and it suggests something else held significant sway with Bama fans: Icees. Or at least they have the head of a big Icee Bear representing Bear Bryant; the fluffy chub of the Icee Bear seems to have been traded for a crimson jumpsuit. 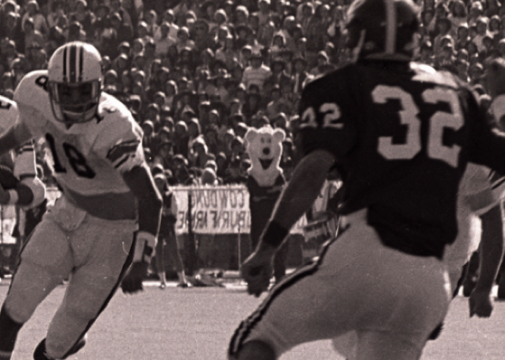 Related: Alabama White Bear spotted in 1972 NBC broadcast. * Is Pat Dye’s new commercial his greatest ever? * Fans equate Iron Bowl losses with the end of the world—now confirmed by science! This is all just weird. Wow. What a fun search for discovery, though. And amazing how random other events/questions to people can result in the answer. People dressing in funny costumes to support football? How silly. 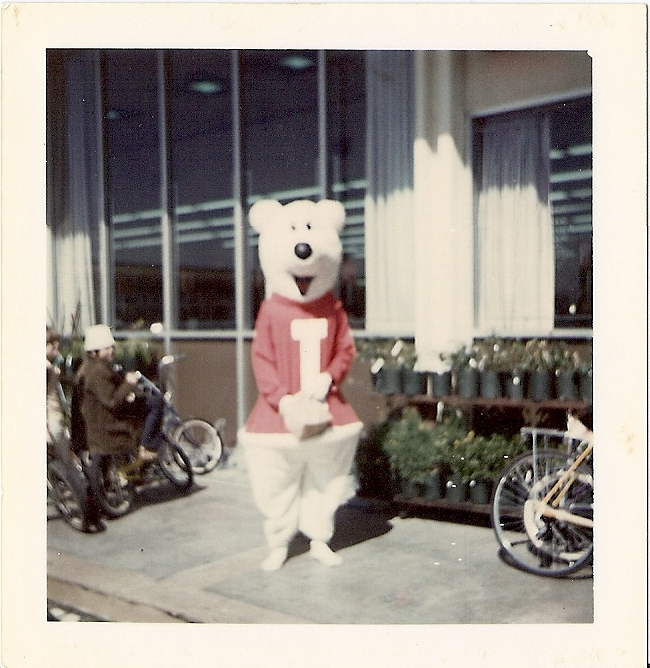 I don’t remember the IB being shown on TV back in the early 1970’s… so I didn’t get to see the games except on the football reviews with Shug or Bear. Now that you mention it… this could be because of the Bear… or the fact that Coke loved to advertise with Bama. But they did with us too if memory serves. Either way… I am laughing my tail off. Hey Elvis, Keep it down home Cuz! I know that pic with #18 from AU and #32 from UA with the bear in the background would look great on randomcreepyguy.com. How about a little credit? I called it in the comments of the original White Bear article. Well, maybe I didn’t call it, but I linked to a picture of Icee Bear. Link isn’t working, Foy, but wow, never even saw that. That’s downright clairvoyant!